While heading off to Mallorca might evoke visions of sand-swept shores and sun-fuelled cocktails, there’s more to this island than just beaches. 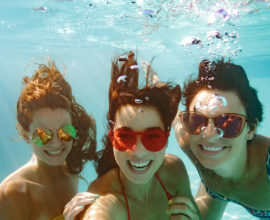 The largest holiday spot in the Balearic Islands, the destination has become increasingly popular with travellers seeking to spend their time exploring its scenic landscapes in the best possible way – on foot. With spectacular scenery and a few unexpected gems to be found, it’s no surprise that the area lends itself well to walking breaks and hiking holidays. Those worthy of a challenge might like to begin with one of the most iconic of Mallorca’s walking trails, Dry Stone Route. 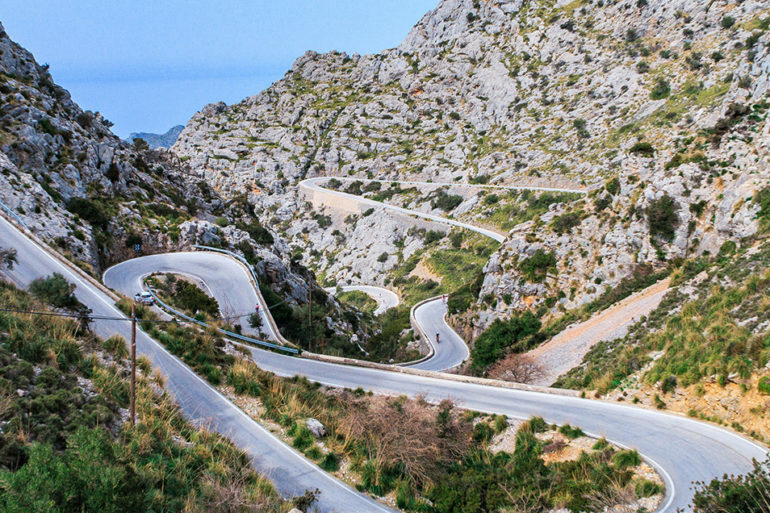 Leading from the small town of Port d’Andratx in the southwest to Pollença in the northwest, the route is an epic 135 kilometers, or 84 miles, making it not for the faint-hearted. Still, many travellers brave the distance in pursuit of one of the most beautiful landmarks, the Tramuntana Mountain Range. An awe-inspiring mix of rocky landscapes and views across the coast, this UNESCO Heritage Site is unmissable. The route is split into eight separate parts and while it is not suggested to walk the entire path, some keen hikers, if only for the spectacular views to be found along the way. 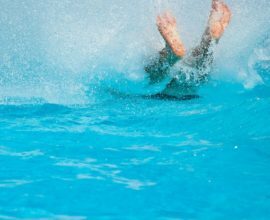 Fortunately, there are a number of stop-offs to enjoy, with many boasting excellent Mallorcan cuisine as well as a bed for the night. The Old Postman’s Route is one of the shortest routes in Mallorca, making it perfect for everyday walkers in search of a scenic path. 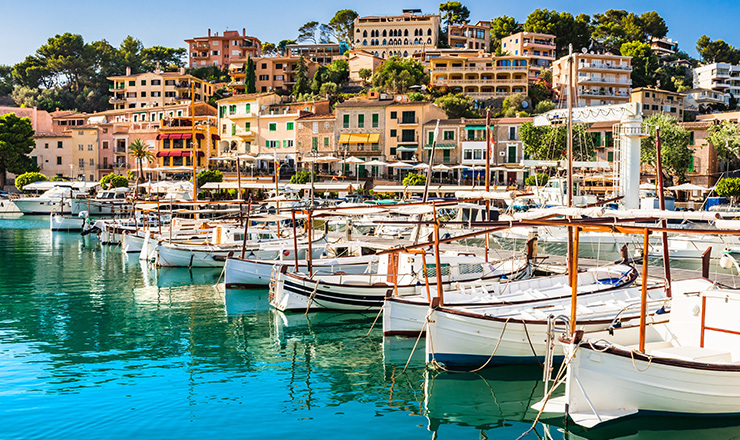 Stretching out between Esporles and Banyalbufar, it takes visitors through a range of diverse landscapes – from olive terraces and cobbled paths to romantic-style villages. Climb your way along ancient routes, passing natural springs and old lime kilns as you take in a glimpse of Mallorca’s history. Visit Banyalbufar, with its Moorish architecture and fine reputation for wine-making, or take a sip of its prime produce for yourself. The Old Postman’s Route is also a particularly good walk to take when the sun is at its hottest due to the path leading to gorgeous holm oak woods. Best of all is the small climbs throughout the walk that reveals the perfect opportunity to catch a view of the island’s coastal beauty between the shadow of the trees. Torrent de Pareis Gorge is often considered to be one of the most physically demanding walks on the island, but do not let that stop you. Perfect for seasoned hikers with the need for a challenge, the route involves a five-mile scramble over the rocky landscapes of a river bed, offering quite the experience. You’ll begin at the Gorge and move towards Escorca to the sea, before completing the trail at Sa Calobra beach – at which point, you’ll need a rest. While you’re in the gorge, take note of your surroundings – the views are unrivalled. Who could resist an open sky stretched out in front of you as you make your way along the river? 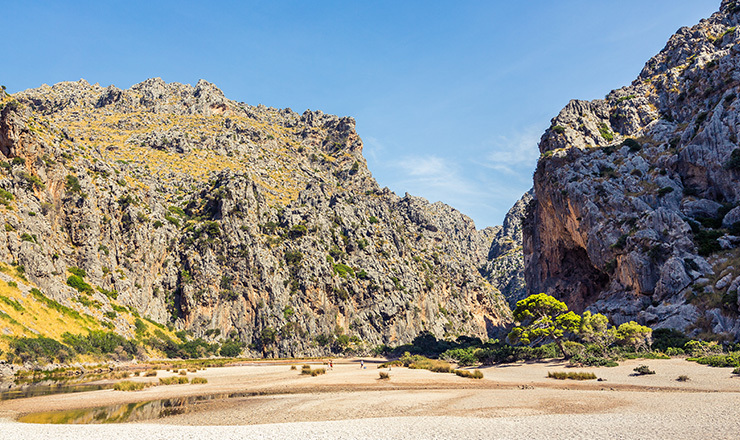 Many attempt and complete the Torrent of Pareis Gorge walk each year, making it one of the most popular of Mallorca’s walking trails. 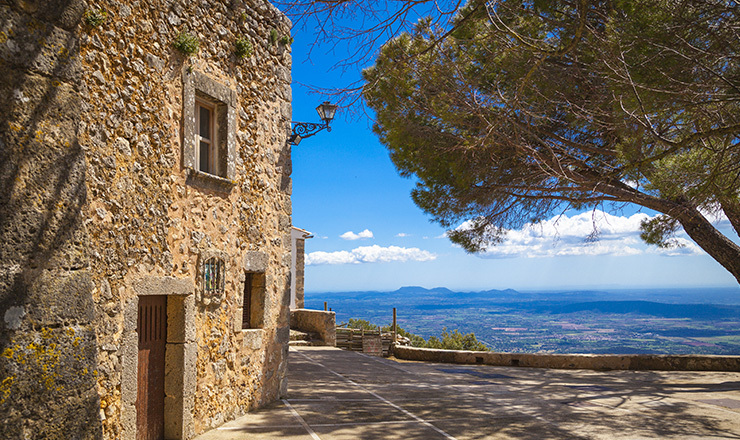 If you like your hike to have a dose of culture included, a trip to Alaró Castle is a must. 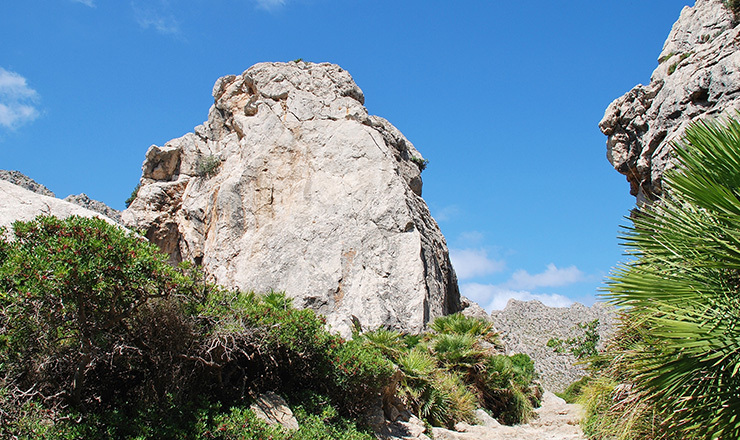 One of the best Majorca hiking routes for delving into the island’s history, the walk takes you from the charming town of Alaró to the castle situated on top of a mountain surrounded by sharp cliffs. The climb itself will take you around two hours, leading up from the cobbled streets of the old town and gently inclining to the castle walls. On your journey, you’ll spot the capital city of Palma in the distance as well as spectacular views of the iconic Tramuntana mountain range. With a considerable past to discover, the Moorish castle is a favourite spot for tourists on a visit to Mallorca and as such, it can often be a crowded walking trail. Avoid weekends and you should be able to enjoy the trail without too much hustle and bustle. 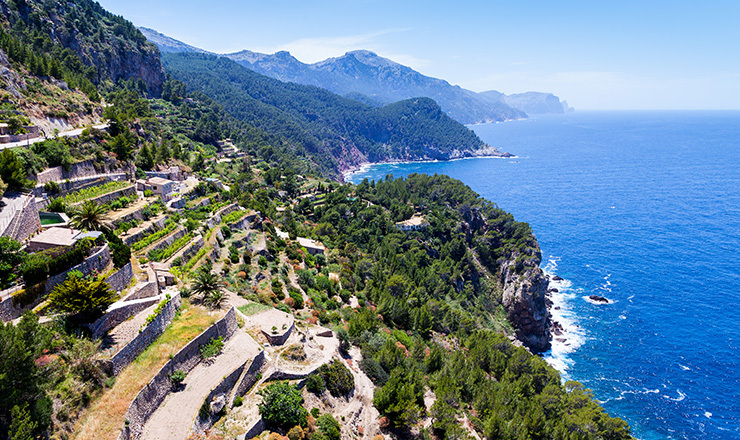 Those in search of more laid-back walking routes in Majorca can opt for one of the beautiful trails leading from the small town of Sóller. There are a couple of circular routes to choose from, many of which last 2-3 hours. 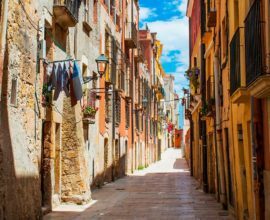 Following old bridle paths, they make for easy walks and take in the sights of small charming towns and villages like Biniaraix and Fornalutx, as well as some of the smaller beaches in Mallorca. If you fancy a longer hike, take the route from Sóller through to Cala Deià, which takes four hours and is not too challenging. You can even settle yourself on the beach for a well-earned drink once you’ve arrived. With so many picturesque walking routes, now’s the time to pack your bags, head to Mallorca, and hike your way to happiness. 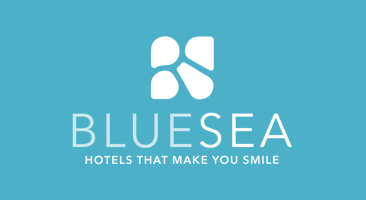 Blue Sea Hotels is a Spanish hotel chain that offer hotels in different regions of Spain like Majorca, Canary Islands, Madrid, Costa del Sol, Costa Blanca, Costa Brava and Marrakech. 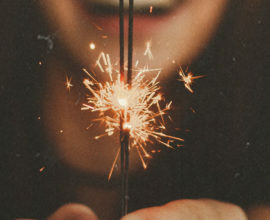 From beachfront to city centre let us to find your perfect destination!